With only a little over a month to go until the first race of the 2018 FIA Formula One season, Mercedes-AMG Petronas Motorsport today took the wraps off the all new Mercedes-AMG F1 W09 EQ Power+. As the most advanced machine ever conceived by Mercedes-AMG Petronas Motorsport, the 2018 car aims to write its own chapter in that long racing heritage while at the same time pushing the technological boundaries of motorsport. The F1 W09 EQ Power+ is improved in every area over its predecessor and will become the fastest Mercedes Formula One car in history. 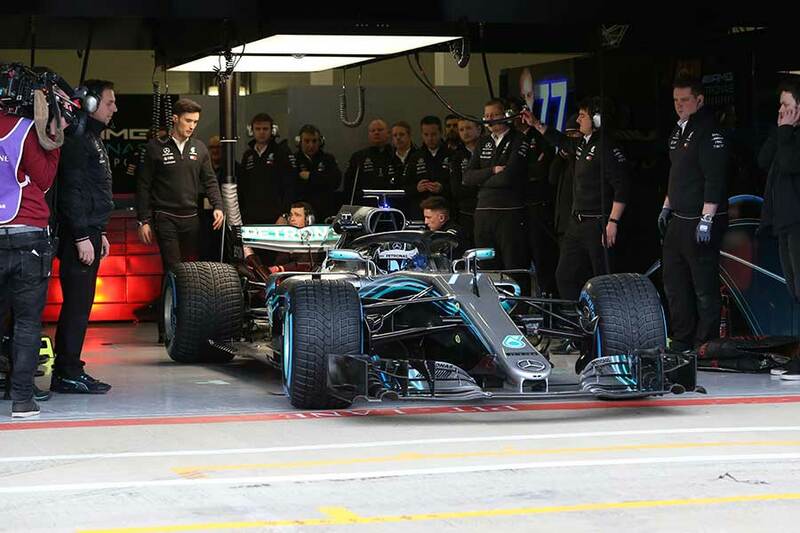 The launch was part of the team’s official 100 km filming day, during which the F1 W09 EQ Power+ completed its first laps of Silverstone’s 2.98 km International Circuit with Valtteri Bottas behind the wheel. Lewis Hamilton’s run in the car is scheduled for the early afternoon. 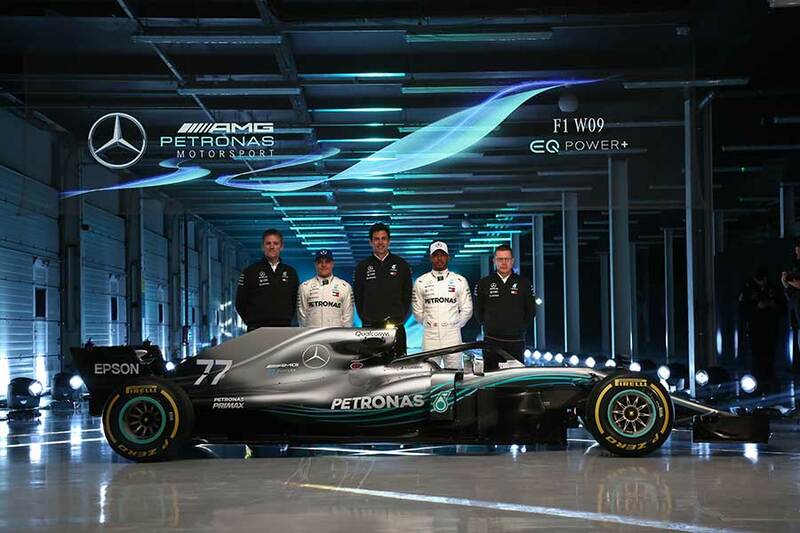 Mercedes-AMG Petronas Motorsport will race with the same driver line-up that won a total of 668 points last year, winning the Constructors’ Championship by 146 points. The expectations for the new season are predictably high. Lewis will start his sixth season with Mercedes-AMG Petronas Motorsport in 2018. His record with the team is impressive and includes four Constructors’ and three Drivers’ Championships as well as 41 race wins. The team also announced its reserve drivers for the 2018 season. Duties will be shared between 2017 GP3 champion George Russell, who will compete in FIA Formula Two this year, and Pascal Wehrlein, who will combine his reserve driver role with a return to the DTM, where he won the title in 2015. The new Formula One season holds a busy schedule for the teams. 21 races make it the joint-longest season in F1 history. The calendar sees two addition compared to last year – the German GP at Hockenheim and the French GP at Paul Ricard. One event that always was very special to everyone at Mercedes-AMG Petronas Motorsport has been dropped from the calendar for the new season – the Malaysian Grand Prix. The team is especially excited to go back to Hockenheim. The track is just a little over 100 kilometres away from the Mercedes-Benz headquarters in Stuttgart and the Mercedes-AMG base of operations in Affalterbach. In other words: Together with Silverstone, the team is looking at two home Grands Prix this year.